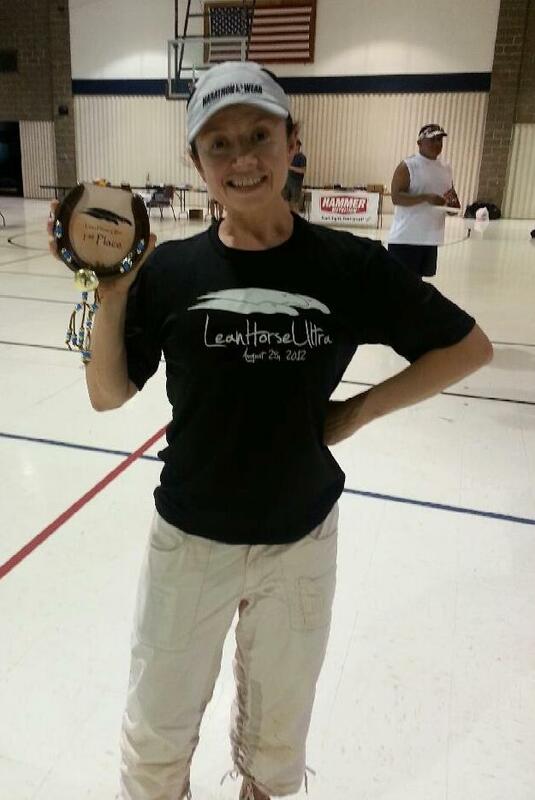 Congratulations to Pacer Julia who captured 1st place in her age group at the Lean Horse 50 Mile Ultra! I started running because I was told I couldn’t… I had major surgery as a young adult it took me 2 years of post operative PT work, but with hard work I relearned how to walk again and eventually run… and now I run to show others that nothing is impossible… people need to know that they too can cross their own finish lines, regardless of their circumstances. NYC marathon 2008 - Running past MSKCC – high fiving the kids wearing my ‘survivor’ shirt, spreading hope to them and remembering what it felt like to watch the marathon from their side of the spectrum. I remember seeing one little girl and telling her that I run for her…I was running for Fred’s Team that year, which raises money for the pediatric cancer ward… and she gave me a giant hug and that kept me going for the next 10 miles with a huge smile on my face! I love to help people accomplish their goals. Hearing that it is someone’s first marathon and that they are nervous is typical, but being able to reassure them that if they stick with me, they will cross the finish line, it is a really great high to see people fulfill their dreams. I like taking the stress off of them and I am always honored to be there with them, witnessing them crossing the finish line. It is so rewarding! 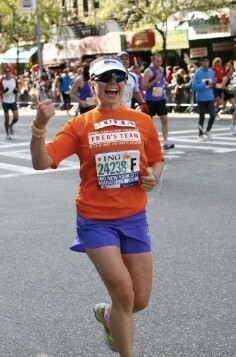 Running is one of my many passions, I am serious about it, but I also know how to have fun and enjoy the ride! Don’t stress the small stuff, I will keep a consistent pace through out the whole marathon, just stick with me and don’t forget to have fun! Being an ultra marathoner, a massage therapist, and a yoga instructor, I am very passionate and knowledgeable about the body. If you have any nagging injuries or any other body related questions, feel free to pick my brain! Also, I’m a vegetarian and I love answering questions on how I maintain my nutrient content with all the running I do, so feel free to pick my brain about that as well. Lastly, I’m a barefoot (minimalist shoes) runner, and I also love to discuss how this has helped me stay injury free over the years and why and if you think this is something you want to try, how you can safely transition yourself. 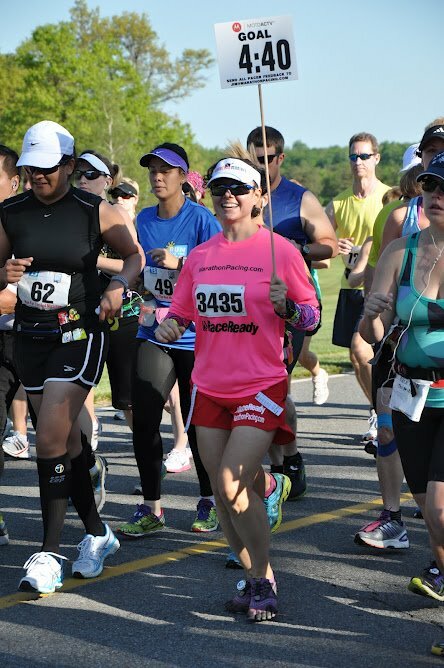 I run at least one marathon a year to help raise money and awareness for the cancer crusade!